In the waves of spring tour confirmations, there's only a few that really stand out. 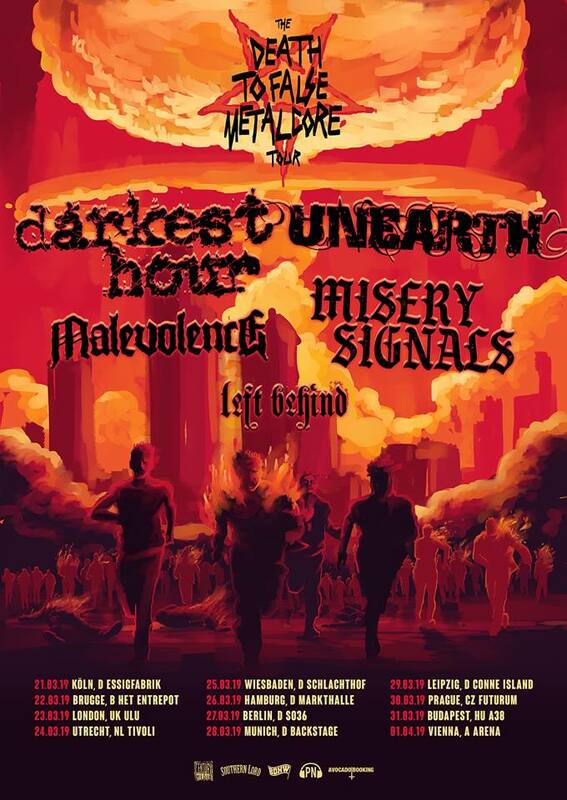 One of them is hands down the most intense package we have seen in a while and are super stoked about is the impending "Death To False Metalcore" tour, featuring Darkest Hour, Unearth, Malevolence, Misery Signals and Left Behind. The tour kicks off on March 21st in Cologne.